RightsNow Pakistan facilitated an event on awareness of Disaster Prevention & Management with the full support of Office of the Deputy Commissioner Tando Allahyar in which Disaster Prevention & Management Kits provided by UNICEF were distributed among civil society organizations/individuals. Event was held at DC Office Tando Allahyar and participated by District Administration, Civil Society and other actors on disaster prevention. The event focused on how these awareness kits provided by UNICEF xan be utilized by the state, community for prevention and management of disaster. The individuals and representatives of selected organizations are asked/requested to use this literature based awareness material through various ways (presentations, workshops, write-ups, word of mouth, Khutba and seminars etc) and to promote the message and effort to UNICEF. RightsNow Pakistan informed the selected kit receivers in the event on Monday (27 June 2016) that a follow up activity would also be conducted to report both UNICEF and District Administration. RightsNow Pakistan made its efforts to select the genuine participants who receive the awareness kit provided by the UNICEF. The candidates which included local NGOs, journalists, representatives of different organizations and others work closely with community and support community in both normal and disaster time. District Commissioner (DC) Rasheed Zardari Sahib for extending full cooperation for this activity and Additional Commissioner Ms. Mehwish Qalbani, & Assistant Commissioner Ibrahim Almani for being present at the event and supporting the kit distribution process fairly. Additional Commissioner Ms. Mehwish Qalbani and Assistant Commissioner (AC) Ibrahim Almani sahib also appreciated the efforts of RightsNow Pakistan for awareness of community on disaster prevention and management. During the ceremony the interest of Ms Mehwish Qalbani and Ibrahim Almani was warm and encouraging which further encouraged the civil society actors came to receive kits. Ms. Mehwish Qalbani requested the candidates to report on this awareness kits how they find the literature material, illustrations and message/awareness mentioned in the kits elements. Later, Additional Commissioner Ms Mehwish Qalbani and Assistant Commissioner (AC) Ibrahim Almani distributed the Disaster Awareness Kits among the participants. Miss Qirat Fatima, Program Assistant RightsNow Pakistan, Fida Chohwan Field Officer and Nadir Kalroo thanked to all participants and District Administration for their support and cooperation. Highly appreciate the support of Human Rights Alliance & Imran Laghari UN OCHA in guidance. In week time, civil society actors will conduct awareness session and report to RNP and DC Office. Report is sent to UNICEF. NOTE: This activity is not part of any project or donor supported. RightsNow Pakistan just facilitated it and all kits were given by UNICEF. 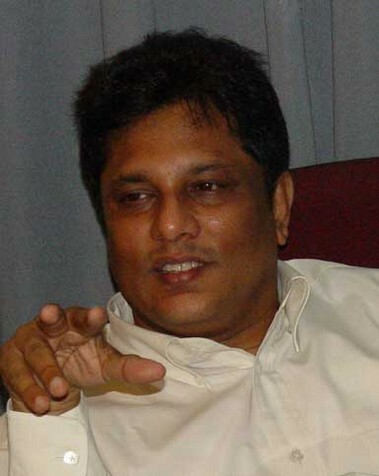 Lasantha Wickrematunge is one of the high profile killings of media personnel in Sri Lanka. Like Pakistan, Sri Lanka in South Asia is a country where intimation, threats and violence against journalists have made it a worse place for journalists to report and exercise their right to freedom of expression. Lasantha Wickrematunge was the editor of popular Sri Lankan newspaper Sunday Leader who was shot dead following criticism of Government.This is the journalist for who BBC correspondent asked the Defence secretary of Sri Lanka who knowingly replied, “Who is Lasantha Wickramatunga?” Lasantha’s news paper Sunday Leader’s motto is “unafraid, Unbowed”. FreeMedia Movement is movement striving for the protection of journalists. What do Tunisia, Egypt and Sudan have in common these days? The massive use of social networks like Twitter, Facebook, blogs and sometimes mapping software like Ushahidi and Google maps. The digital international community is bypassing the mainstream media by creating its own space in order to interface directly with populations all over the globe. The stream of information is becoming so overwhelming that it is almost impossible to keep up, and repressive regimes needs to find other solutions to shut down their own populations, as the Egyptian government is showing with the recent shut down of mobile phones and internet. Are we looking at the uprising of a new digital community? Are social media in those events the cause or the effect? Anahi Ayala Iacucci graduated from SIPA in May 2010, and holds a BA in International Affairs and a Master in Human Rights from the University of Padova. Anahi has previously worked in the Occupied Palestinian Territories as a human rights monitor, in Nairobi-Kenya as a Refugee Officer, in Chiapas-Mexico as an International Observer and in Italy and the OPT as a journalist. More recently, Anahi has consulted for NGOs and international organizations on the use of the ICT4D, new technologies and crisis mapping: she adviced the UN OCHA Iraq Inter-Agency Information and Analysis Unit, the NGO Alliance Guinea, Internews Network in Kenya, Freedom House in Egypt, the World Bank in Zambia and USAID in the US. Anahi will be relocating soon in Kenya where she will be a ICT4D consultant for Internews Network covering Kenya, Chad, Sudan and DRC and also a Crowdsourcing and Information Specialists for the World Bank covering East Africa. In the spare time Anahi is the co-founder and volunteer Coordinator of the Standby Task Force, and worked on the Jan30Sudan Crowdmap platform, monitoring the uprising in Sudan, Sidibundiz, a Ushahidi platform to monitor the uprising in Tunisia and the U-Shahid Freedom House project to monitor elections in Egypt. (Thanks to New Media Task Force).